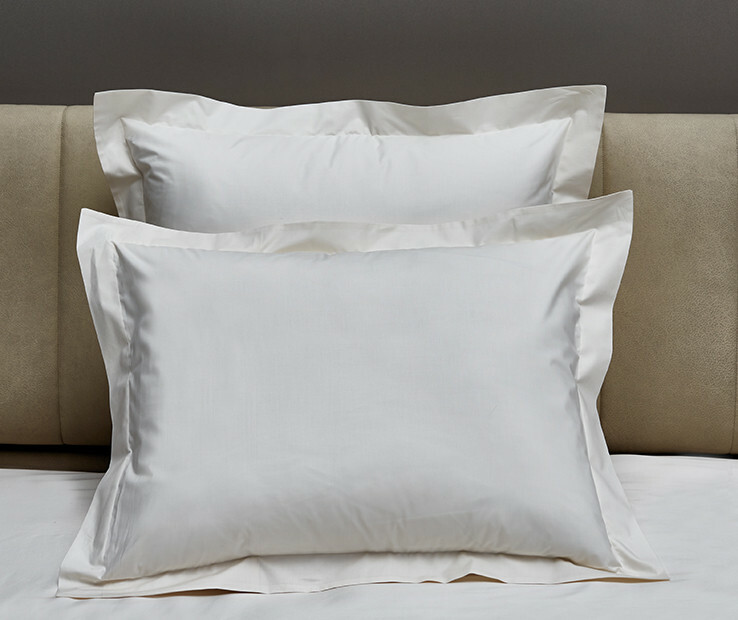 Gemma pillowcases with simple hem embody the freshness and the comfort of a cotton percale. Signoria uses only fine threads because the finer the thread, the lighter and softer the fabric. The light colors and the simplicity of the design make Gemma suitable for any environment. 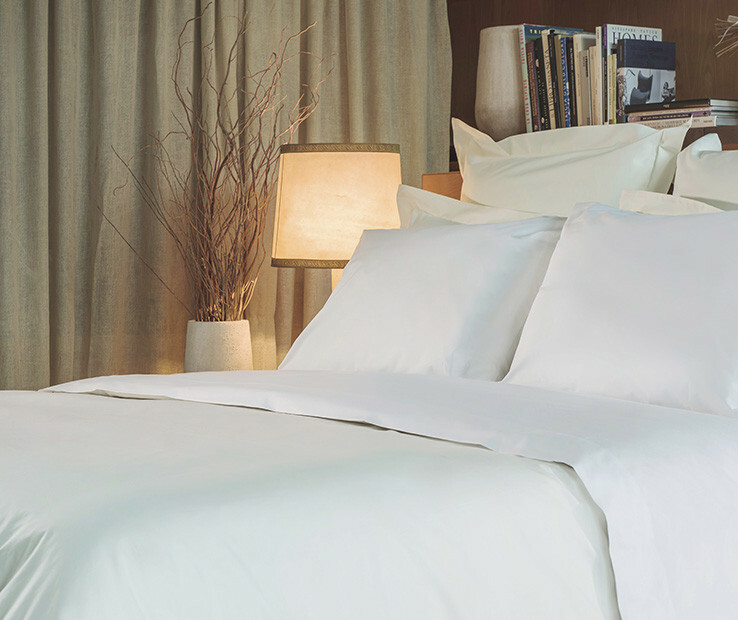 The line is completely Made in Italy with Egyptian combed cotton percale 200 t.c. Available in Standard and King sizes, in White and Ivory colors. The set includes two pillowcases. Gemma duvet cover embodies the freshness and the comfort of a cotton percale. Signoria uses only fine threads because the finer the thread, the lighter and softer the fabric. The light colors and the simplicity of the design make Gemma suitable for any environment.  The line is completely Made in Italy with Egyptian combed cotton percale 200 t.c. Available in Twin, Queen and King sizes, in White and Ivory colors. 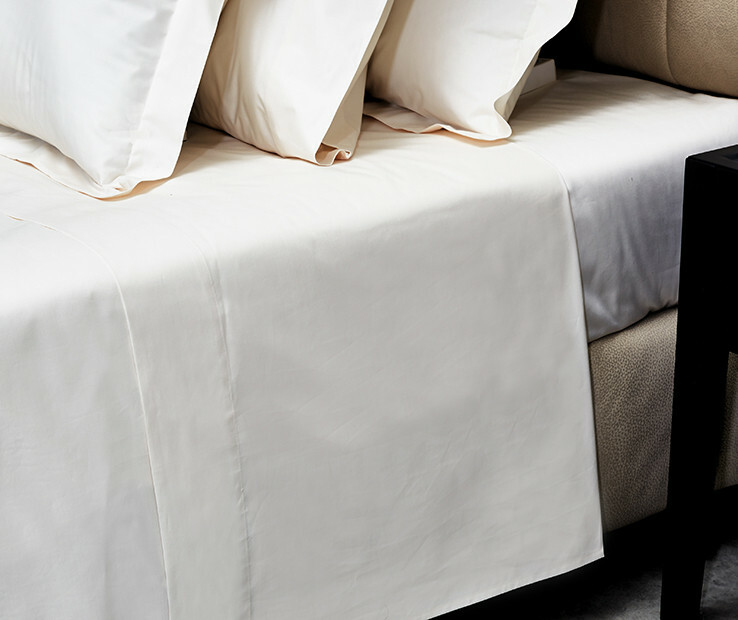 Gemma flat sheet with simple hem embodies the freshness and the comfort of a cotton percale. Signoria uses only fine threads because the finer the thread, the lighter and softer the fabric. The light colors and the simplicity of the design make Gemma suitable for any environment. Made in Italy with Egyptian combed cotton percale 200 t.c. Available in Twin, Queen and King sizes, in White and Ivory colors. 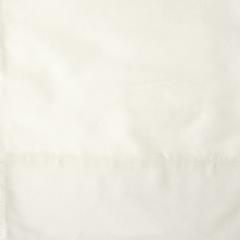 Gemma sham with simple hem finishing embodies the freshness and the comfort of a cotton percale. Signoria uses only fine threads because the finer the thread, the lighter and softer the fabric. The light colors and the simplicity of the design make Gemma suitable for any environment. 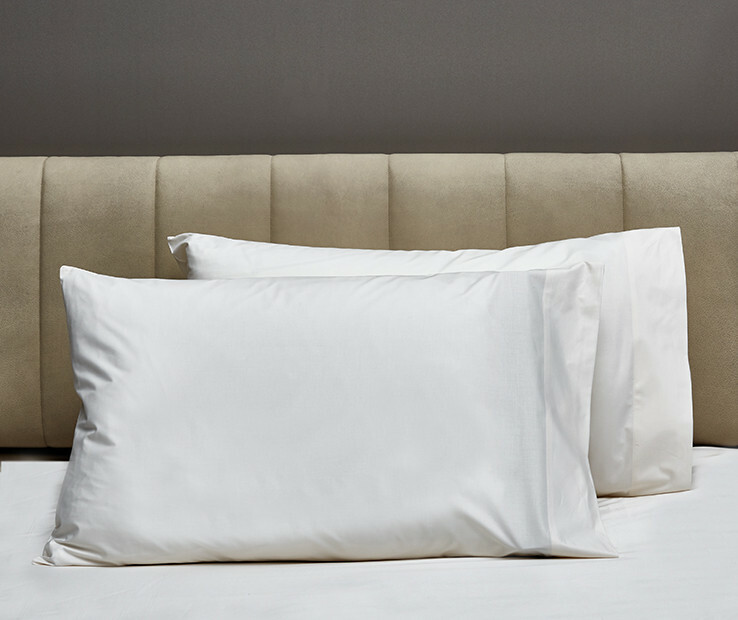 The line is completely Made in Italy with Egyptian combed cotton percale 200 t.c. Available in Standard, Euro and King sizes, in White and Ivory colors.